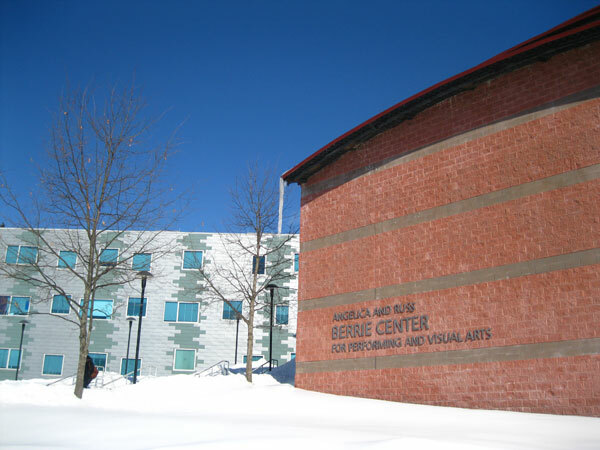 Ramapo College Theatre Program presents 'Fefu and Her Friends,' by Maria Irene Fornes, directed by Shoni Currier, Adler Theater, March 2 - 5, 7 - 9, 8 p.m., March 5, 2 p.m.
Winter has arrived at Ramapo College's Havemeyer Arch. 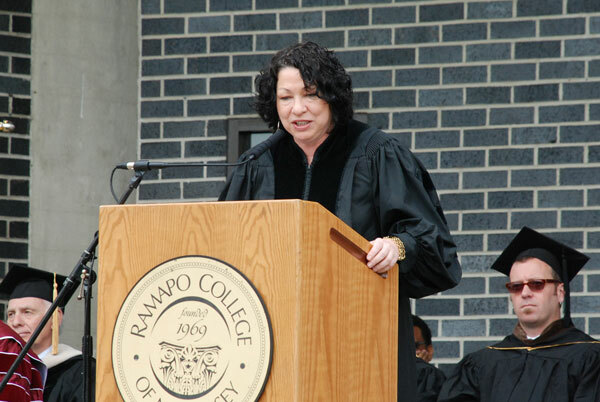 The Honorable Sonia Sotomayor, Associate Justice of the United States Supreme Court delivered the Ramapo College of New Jersey 2011 Commencement address. 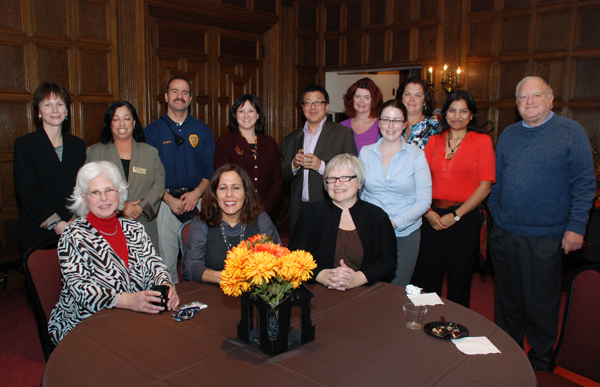 Alumni who work for Ramapo College gathered at the Havemeyer House for the College's annual Alumni Holiday. 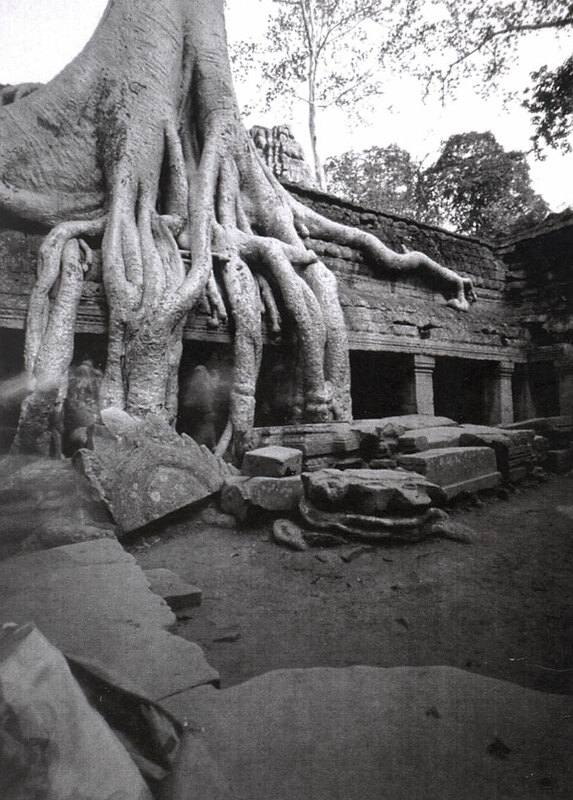 'Yolanda del Amo,' a one-person exhibit of photography by a new Assistant Professor of Photography and Digital Media at Ramapo College opens in the Pascal Gallery on February 2. 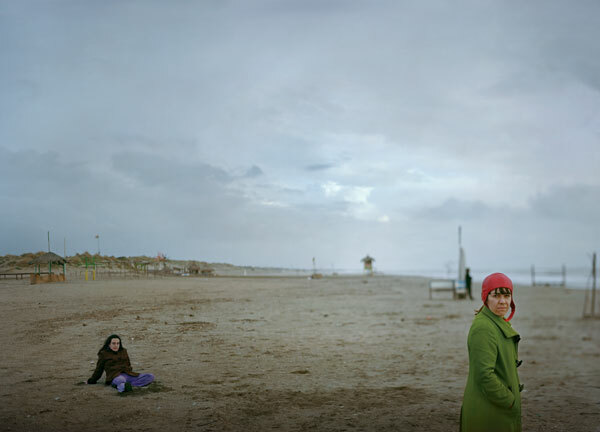 Pictured, Yolanda del Amo, Maria, Nieves, 2010, digital C-print, 48 x 68 inches. 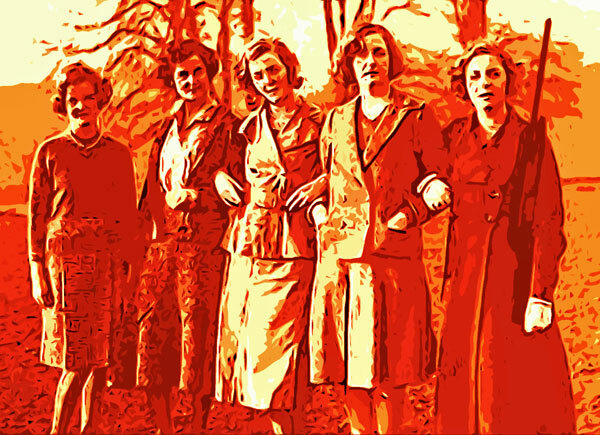 'One-Tow Punch,' the first of two unique exhibitions about artists in Newark opens in the Kresge Gallery on February 2. 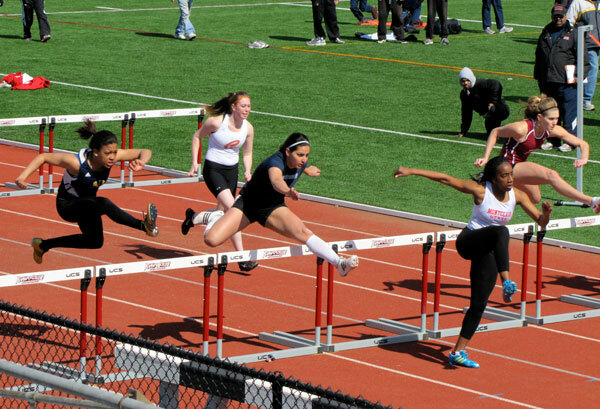 Pictured, Emma Wilcox, Eminent Domain, No. 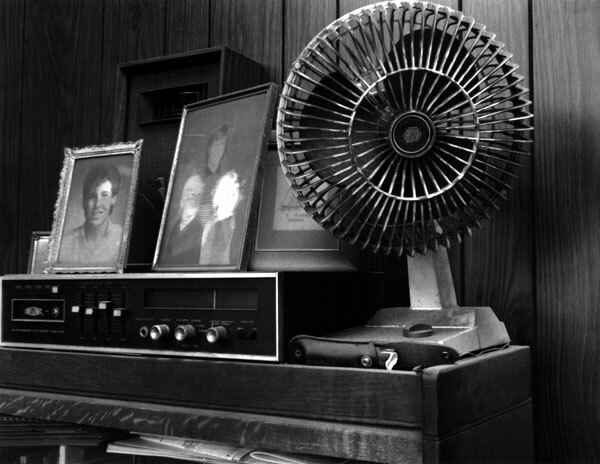 4 (Firebombing), 2006, silver gelatin print, 20 x 24 inches, courtesy of the artist and Gitterman Gallery, New York. 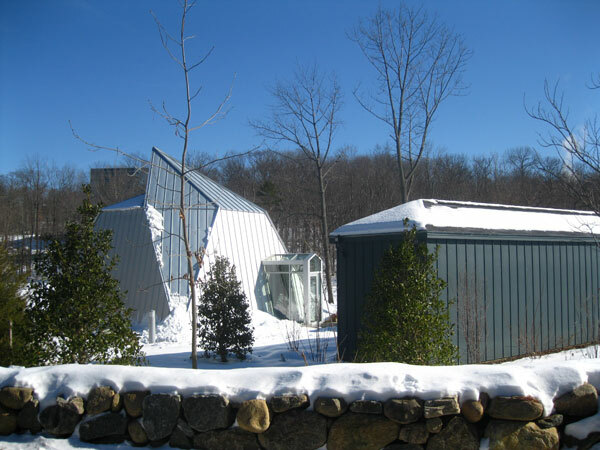 The Salameno Spiritual Center covered with a blanket of fresh snow. 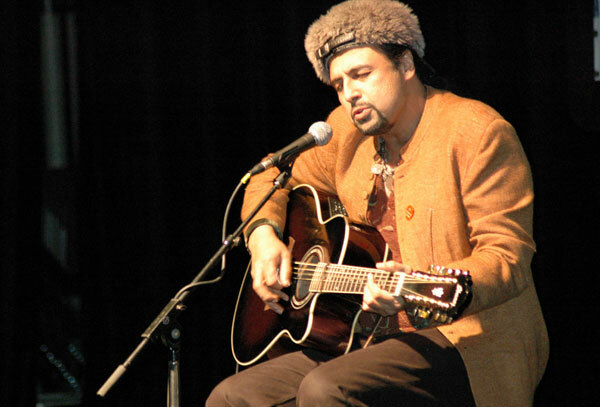 Ramapo College celebrates the Fifth Annual Diversity Convocation on Wednesday, February 2 with musician and activist Salman Ahmad. 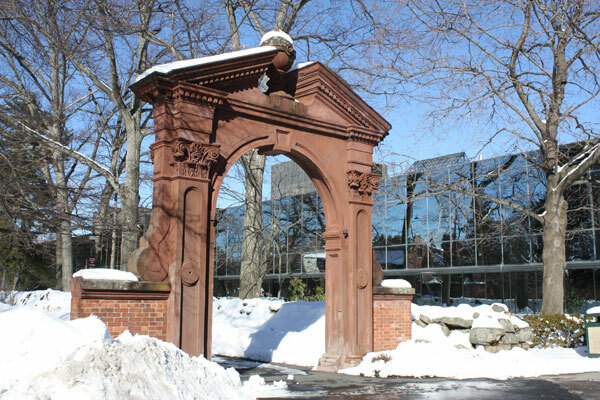 'Ramapo College's Angelica and Russ Berrie Center for the Performing and Visual Arts blanketed in snow. 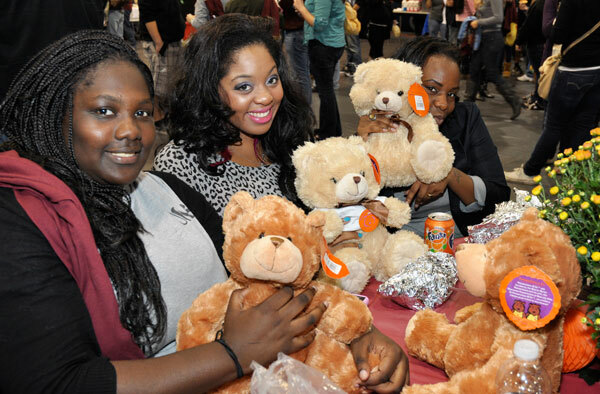 Some of Ramapo College's over 70 clubs and organizations participated in the Spring Club Fair. 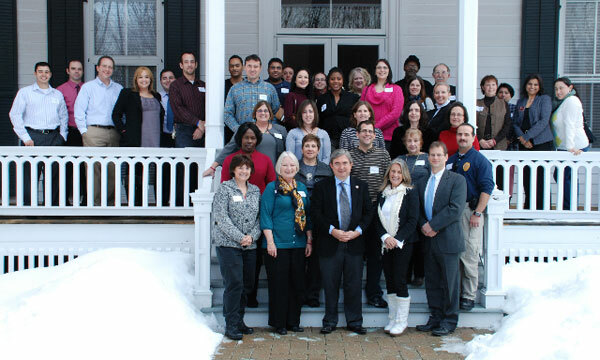 Members of the Ramapo College Faculty and Staff Annual Fund Leadership Council gathered to discuss plans for 2011. 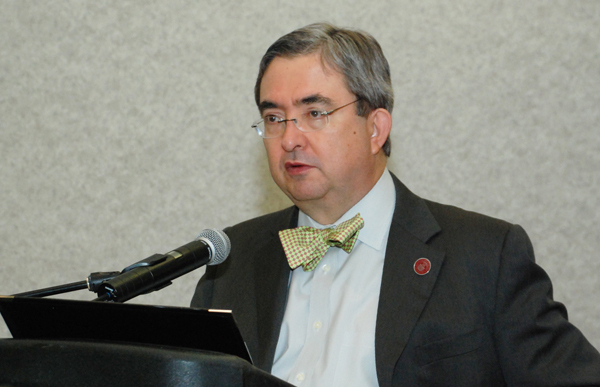 President Peter P. Mercer delivered the State of the College Report. 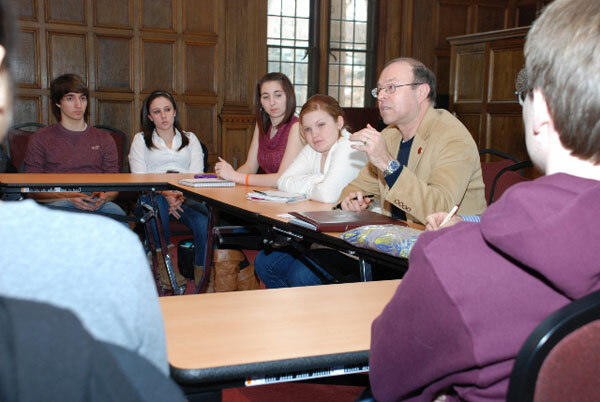 Ramapo College students, faculty and staff participated in a Roundtable Discussion about Higher Education. 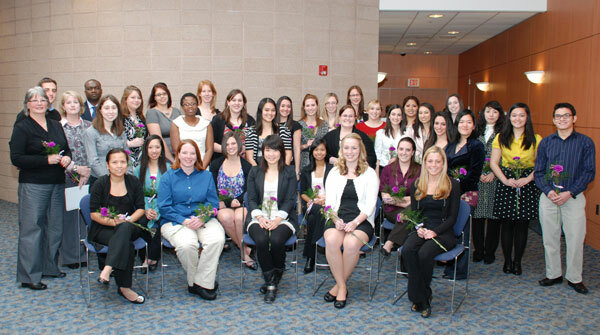 Nursing students were inducted into the Ramapo College Nursing Program Honor Society on February 28. 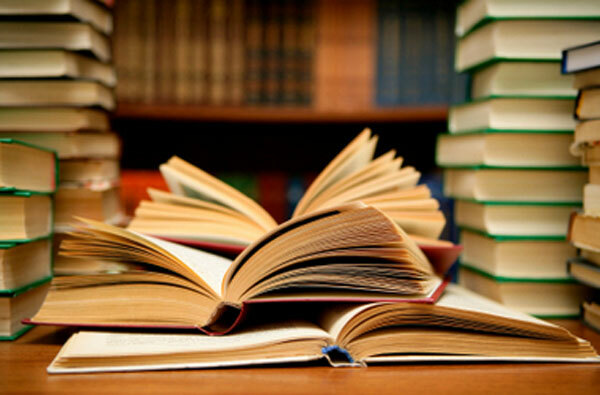 The Salameno School of Humanities and Global Studies will hold a Colloquium on 'Life and Liberal Arts' on Wednesday, March 8, SC-219, 1 to 3 p.m. 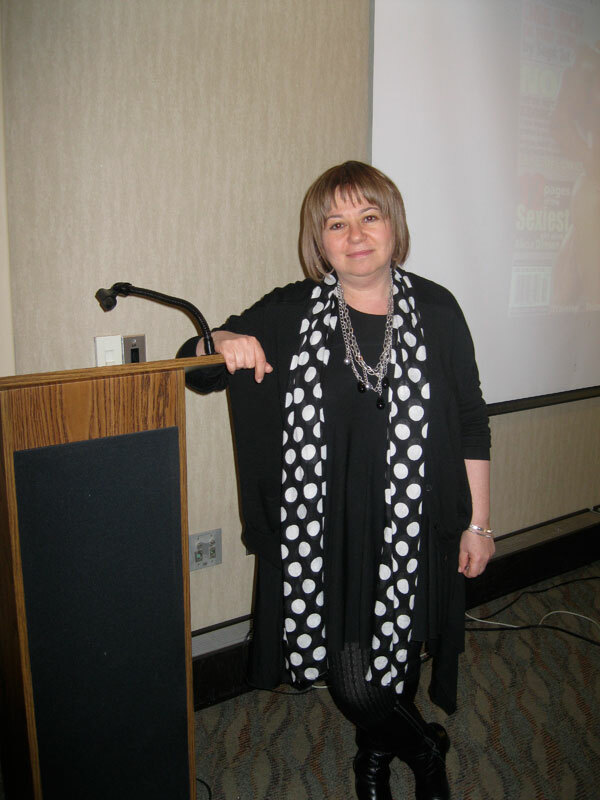 Opening speaker for Women's Herstory Month Gail Dines spoke about pop culture, women in Hollywood and racism. 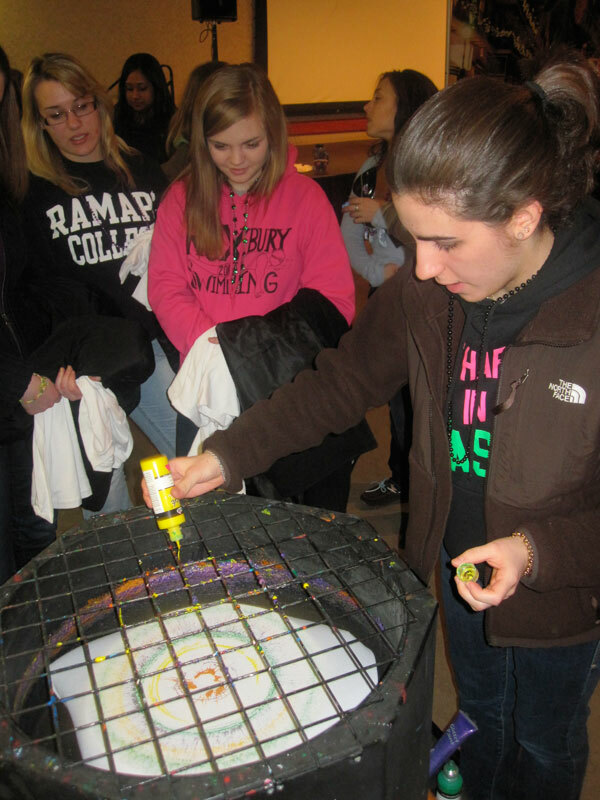 Ramapo College students celebrated Mardi Gras with games, prizes, food and crafts. 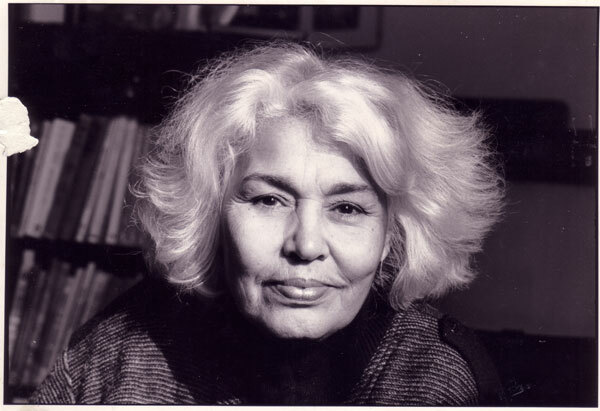 Egyptian human rights activist Dr. Nawal El Saadawi will speak on 'Women, Dissidence and Creativity,' March 21, H-129, 2 p.m. 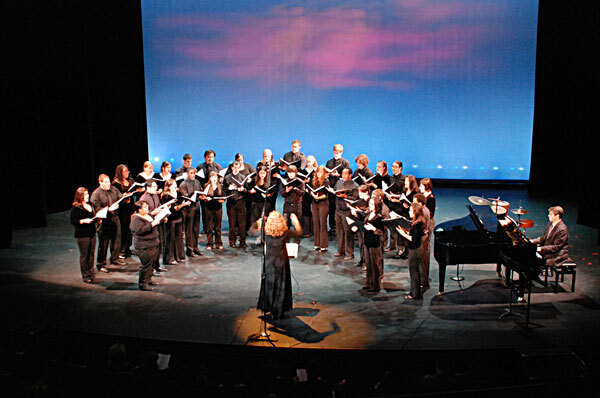 The Ramapo College Chorale will perform Sunday, May 1, 3 p.m., Sharp Theater. 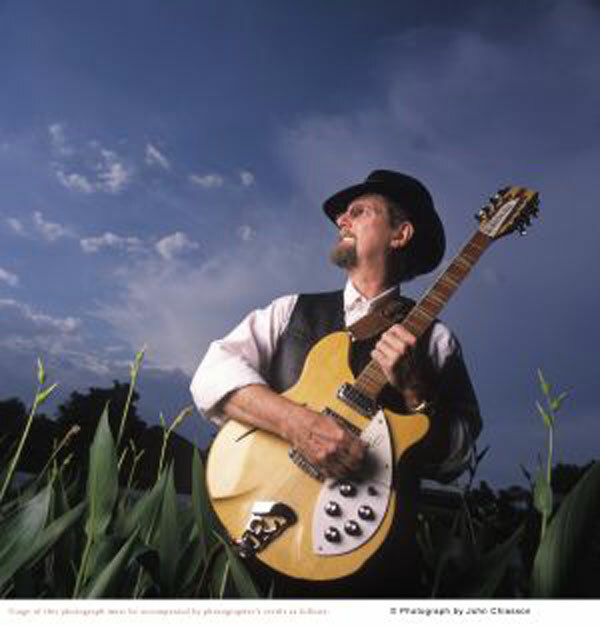 The Pascal Gallery in Ramapo College's Berrie center will host an exhibition of works by Professor Warner Wada, March 23 - April 27. 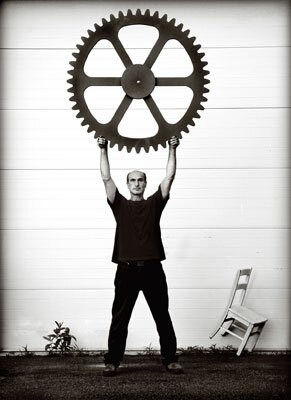 An opening reception is scheduled for March 23, 5 - 7 p.m. in the gallery. 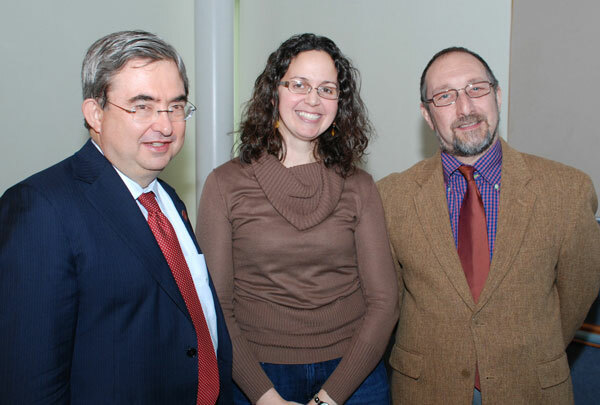 President Peter P. Mercer with Thomases Award recipient Lysandra Perez-Stumolo and School of Social Science and Human Services Dean Samuel Rosenberg. 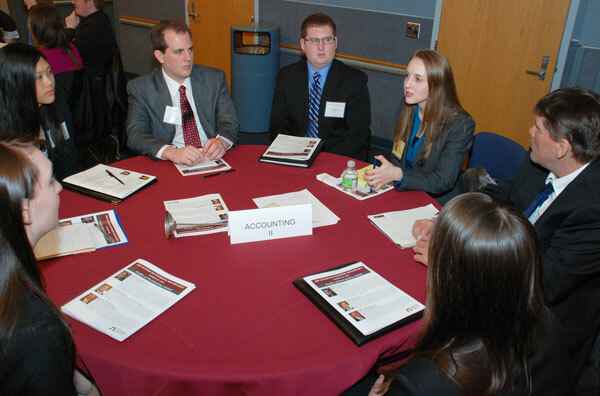 Ramapo alumni and current students discuss job opportunities in the business field during an Anisfield School of Business Networking event. 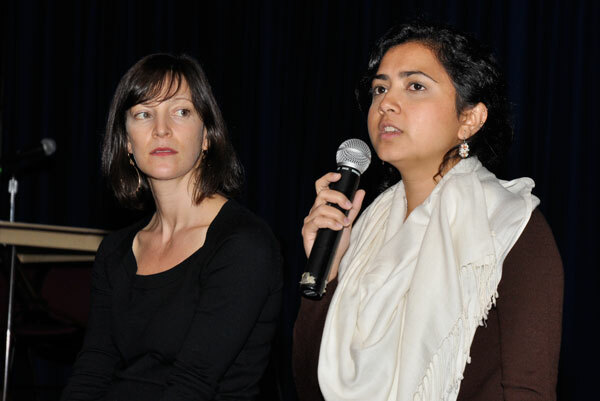 Associate Professor of Comparative World Literature, Monika Giacoppe, leads a student discussion during the Salameno School of Humanities and Global Studies Symposium on Immigration. 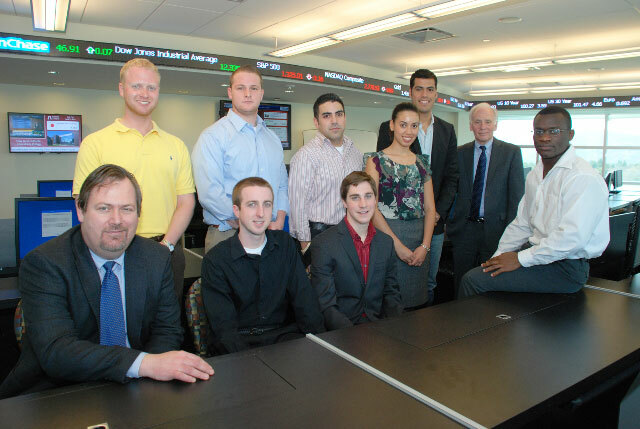 Ramapo College business students scored top honors in the CME Commodity Trading Challenge. Pictured, seated L to R: Director of Global Financial Trading Lab George Mykytyn, Brian Noll, Kevin Medvecky, Marvin Mensah. 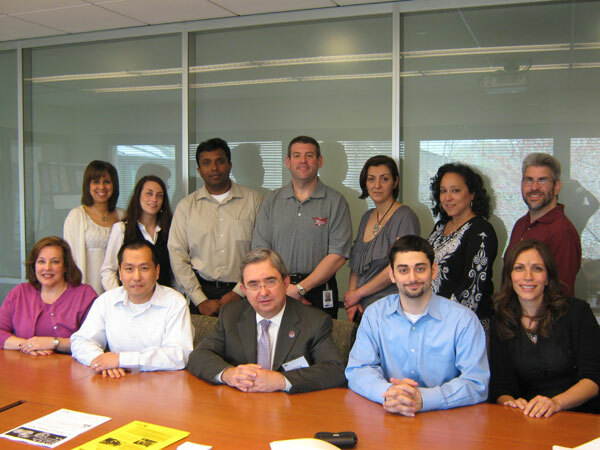 Standing L to R: Professor Timothy Haase, Brian Malloy, Guido Alonso, Maritza Guananga, Professor Juan Cabrera, Dean Lewis Chakrin. 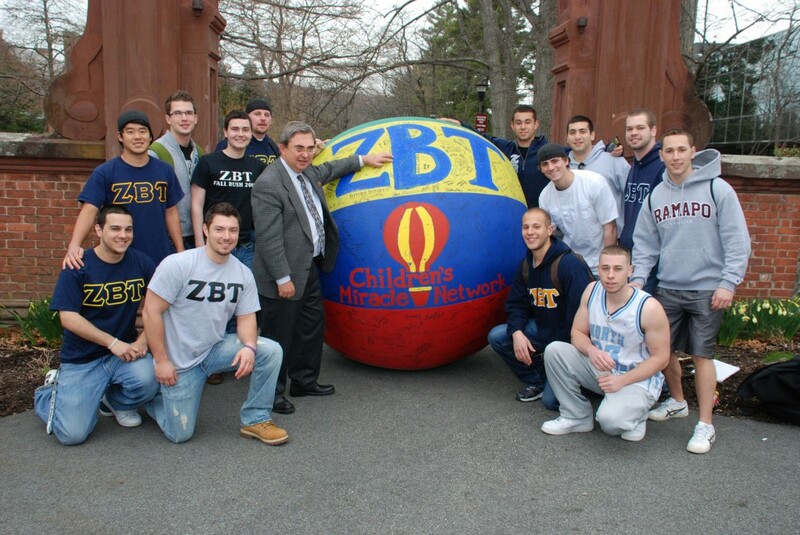 President Peter P. Mercer poses with members of the Zeta Beta Tau fraternity during their fund raising efforts for the Children's Miracle Network. 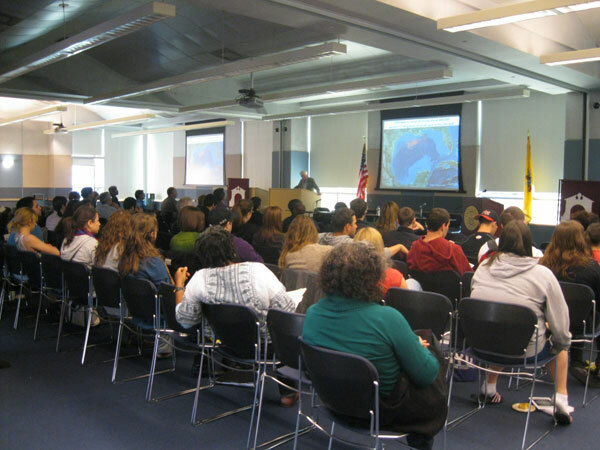 Ramapo College's School of Social Science & Human Services, the Sustainability Studies Program and the Dean's Council presented a Spill Effects Symposium focusing on BP in the Gulf, New Jersey and Beyond. 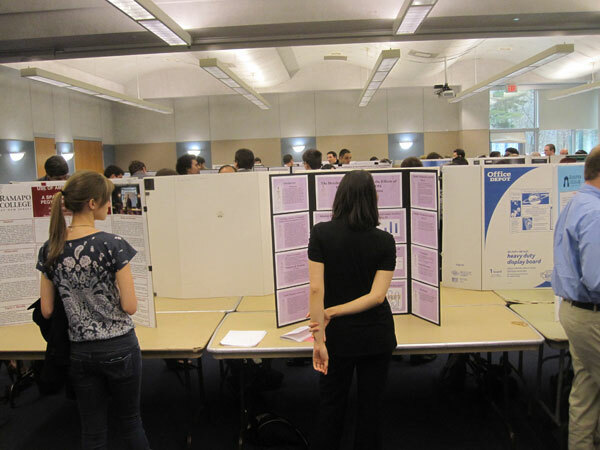 Ramapo College's School of Theoretical and Applied Science presented the Tenth Annual TAS Student Research Symposium. 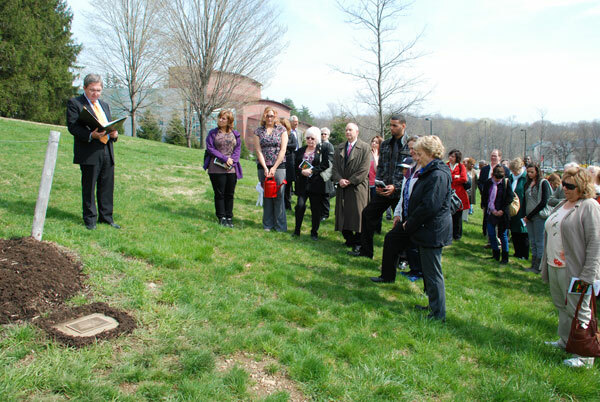 Remembrance Day 2011 memorialized seven members of the campus community who significantly contributed to the institution and to the campus community. 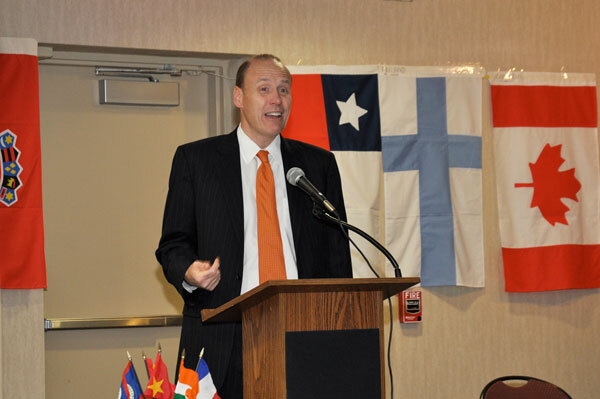 Jonathan Marcus '93, assistant general counsel of KPMG and president of the Alumni Association, welcomed KPMG alumni to a luncheon hosted at the company's Montvale, NJ office on April 26. 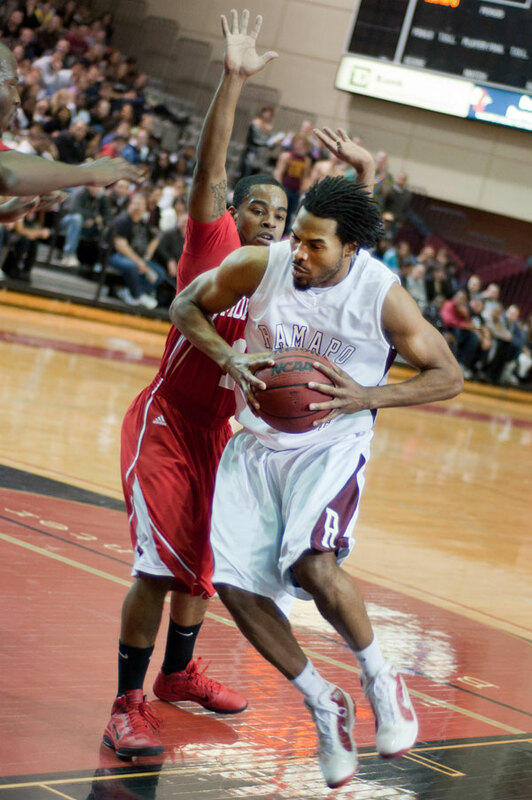 President Peter P. Mercer discussed new campus initiatives. 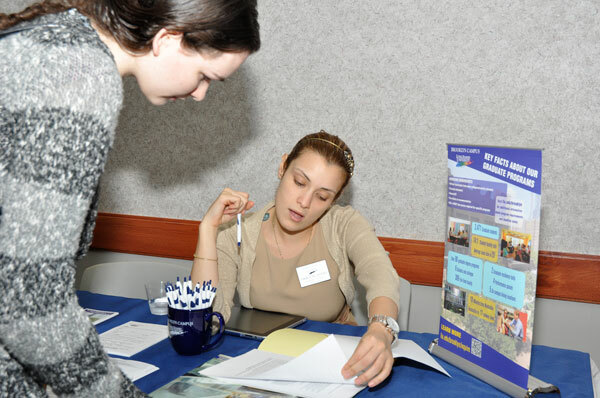 More than 40 alumni are employed by KPMG. 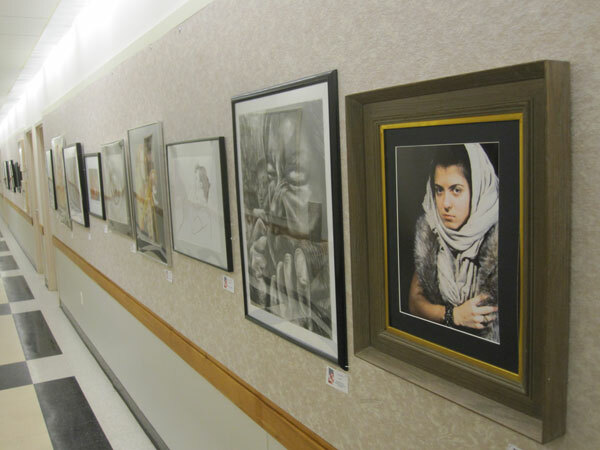 Artwork from students in grades 7 - 12 who live in Representative Scott Garrett's Fifth District displayed their works in Ramapo College as part of the 2011 Congressional Art Competition. 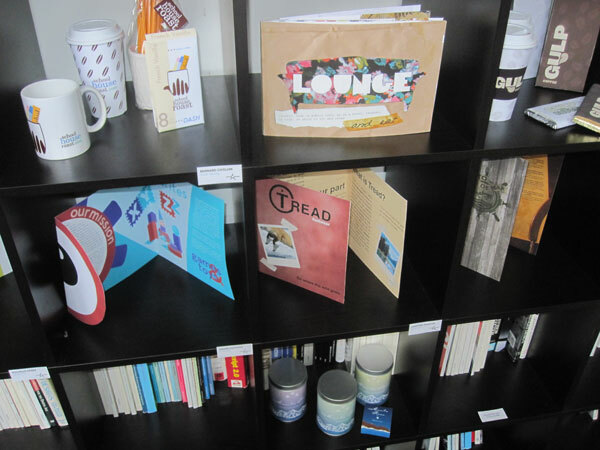 The winners of this national competition will have their work displayed in the US Capital for one year. 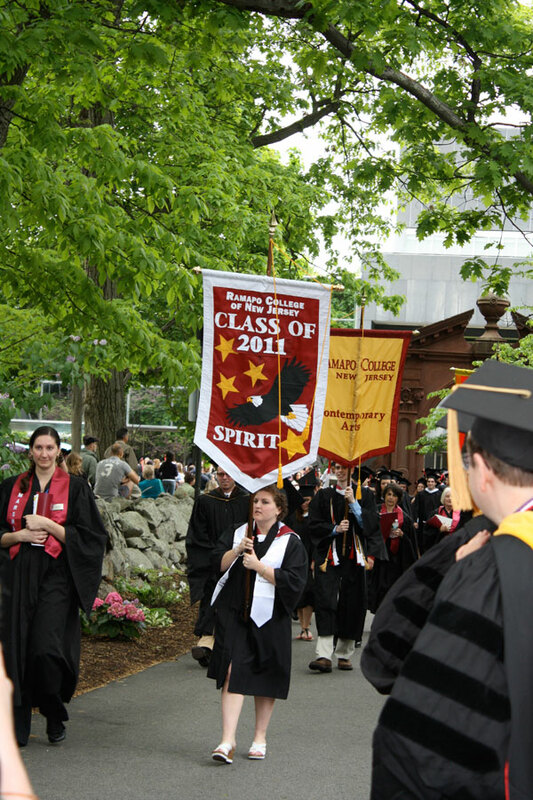 The Class of 2011 Spirit banner led Ramapo College's Commencement processional. 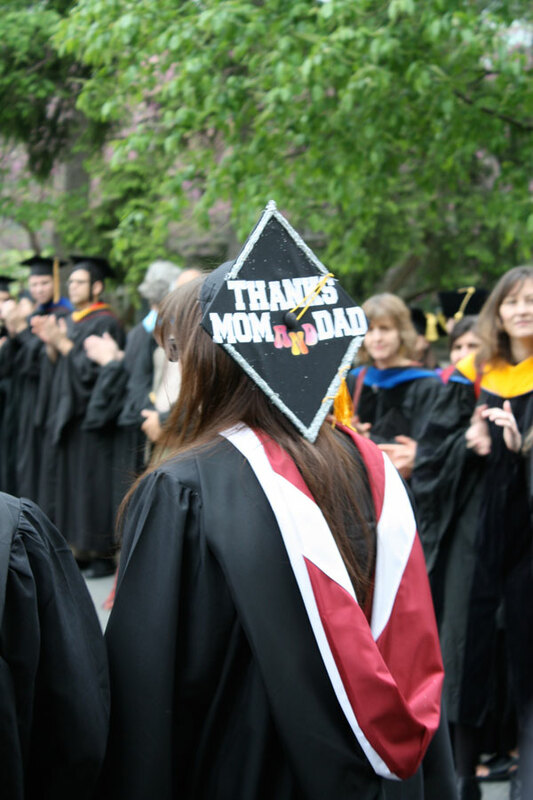 Ramapo College Class of 2011 graduates adjust their caps and gowns during the College's 53rd Commencement processional. 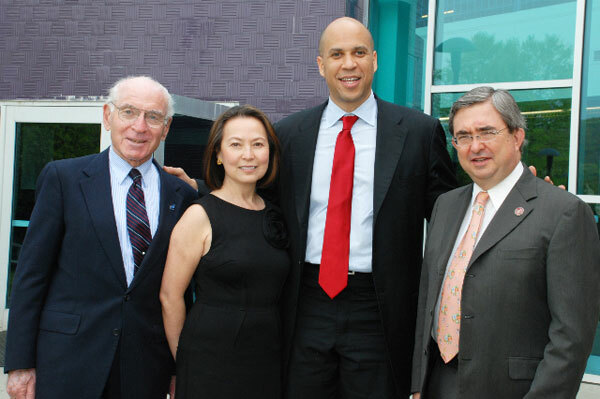 Josh Weston, chair of the Berrie Awards for Making a Difference Advisory Board, Angelica Berrie, president of the Russell Berrie Foundation, The Honorable Cory Booker, Mayor of Newark, and Ramapo College President Peter P. Mercer before the Berrie Awards ceremony. 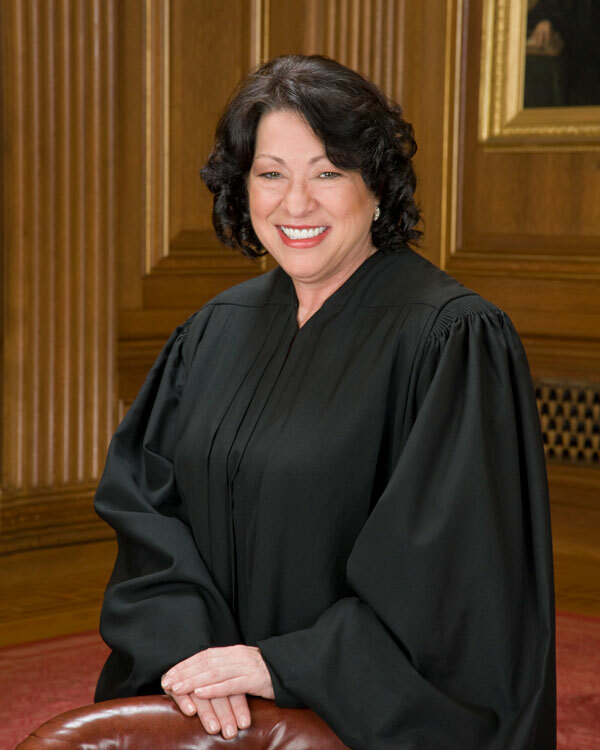 U. S. Supreme Court Associate Justice Sonia Sotomayor will speak at Ramapo College of New Jersey's May 13 commencement ceremony. 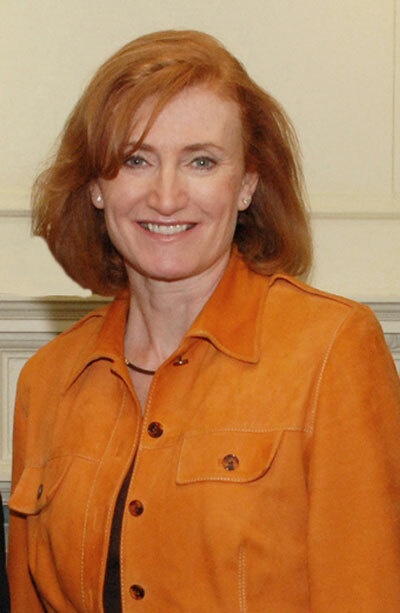 She will deliver the keynote address to the Class of 2011, the largest in the College's history with 1,511 graduates, at the 10 a.m. ceremony. 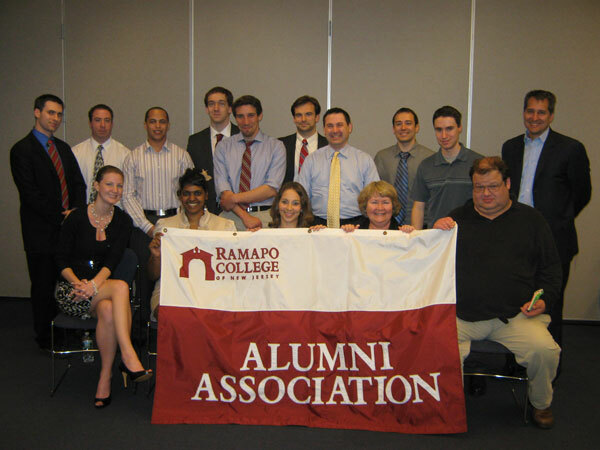 Ramapo College's Alumni Association hosted an Alumni Speed Networking event with seasoned workplace veterans who provided participants with valuable tips including developing effective talking points and navigating the multi-generational workplace. 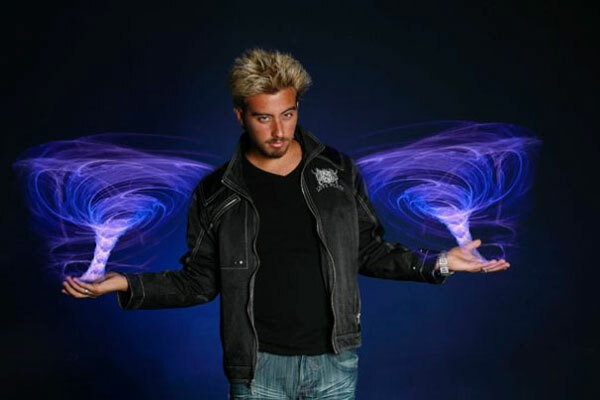 The School of Contemporary Arts held the Eleventh Media Collision showcasing student work May 4. 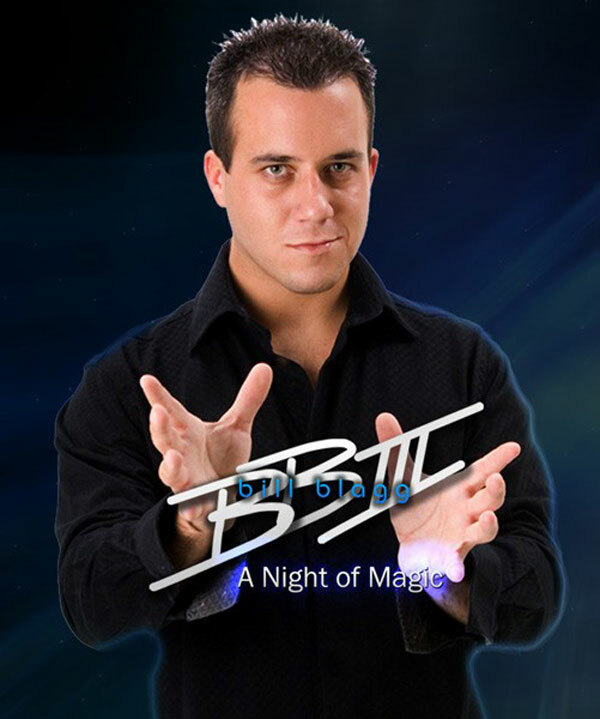 2011 TD Bank Summer Concert Series at the Ramapo College bandshell kicks off July 7 at 8 p.m. with The Bronx Wanderers followed by fireworks at 9:30 p.m. (fireworks rain date: July 14). 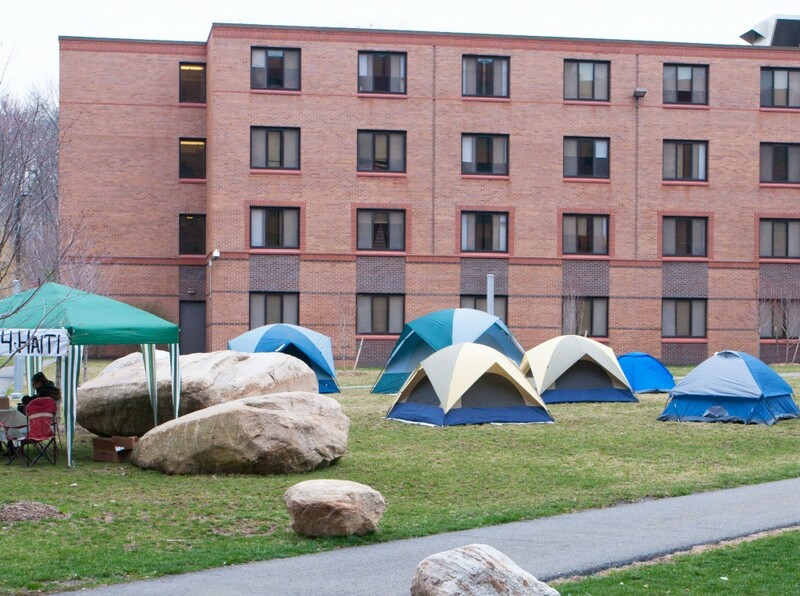 In case of rain, the concerts will be held in the Bradley Arena. Admission is free; parking is $5 per car. 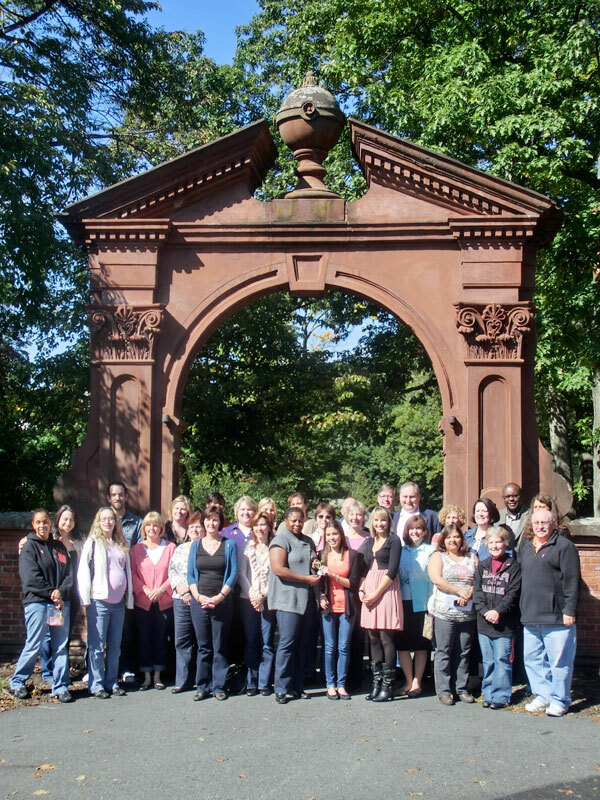 The Ramapo College Center for Innovative and Professional Learning (CIPL) recently celebrated its 1,000th student enrollment. 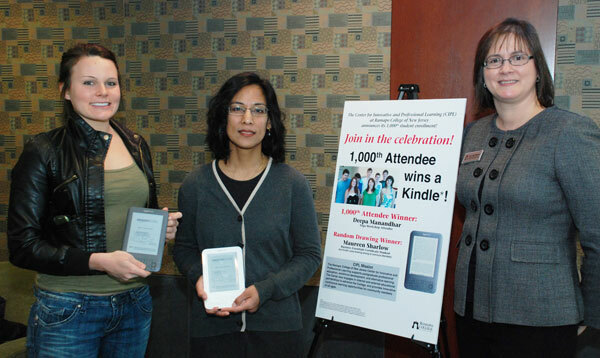 Rosa Diaz-Mulryan, CIPL's assistant vice president, awarded a Kindle to the 1,000th enrollee, Deepa Manandhar of Monsey, NY and a second Kindle prize was also awarded in a random drawing of past CIPL program enrollees to Maureen Sharlow of Edison, NJ. 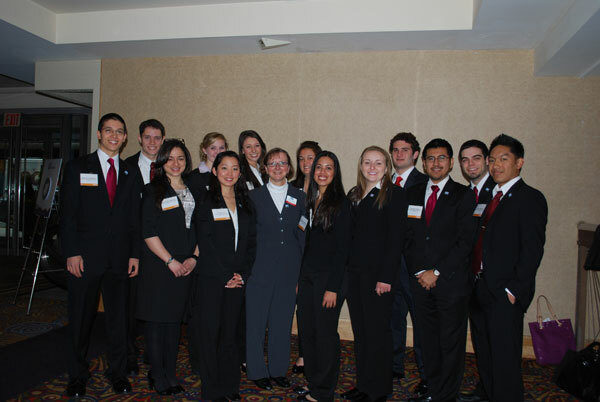 Ramapo College's Students In Free Enterprise (SIFE) team members and their advisor professor Kathryn Yeaton gathered after their presentation at the 2011 SIFE USA National Exposition in Minneapolis Minnesota. 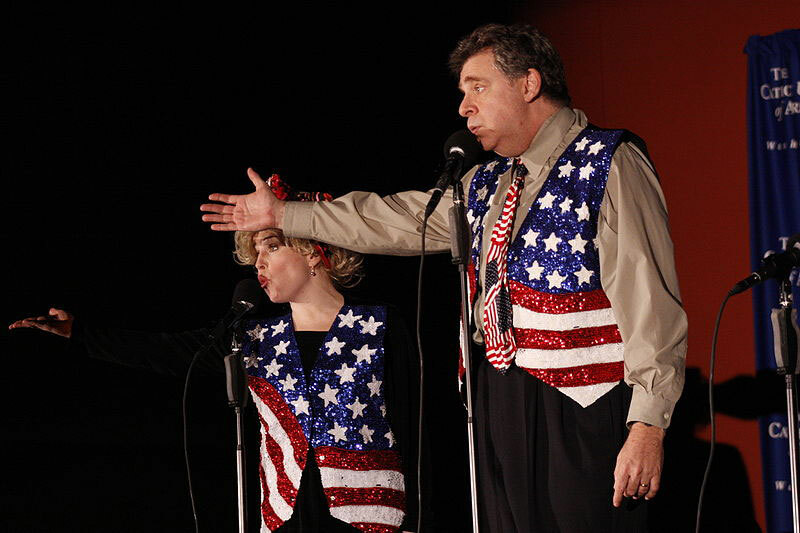 Hold the Date: Berrie Center Fall 2011 performances include 'The Capitol Steps,' musical political satire, Saturday, October 15 at 4 and 8 p.m., Sharp Theater. 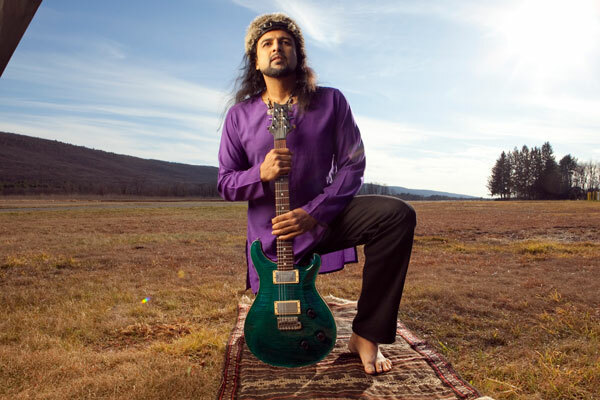 2011 TD Bank Summer Concert Series at the Ramapo College bandshell kicks off July 7 at 8 p.m. with The Bronx Wanderers followed by fireworks at 9:30 p.m. (fireworks rain date: July 14). 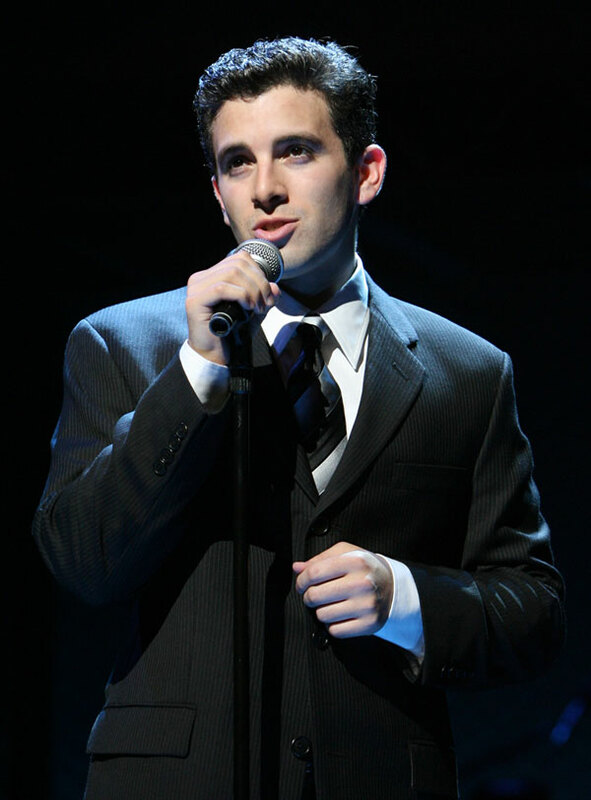 In case of rain, the concert will be held in the Bradley Arena. 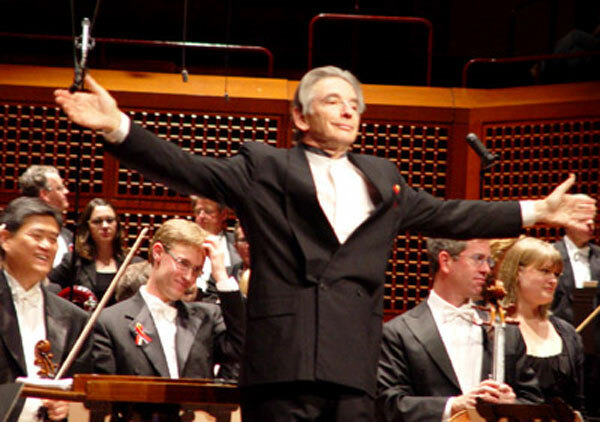 Admission is free; parking is $5 per car. 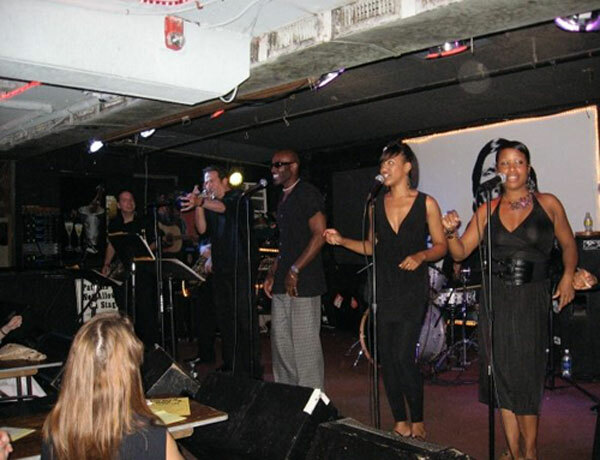 2011 TD Bank Summer Concert Series at the Ramapo College bandshell continues on July 14 at 8 p.m. with 52nd Street Band. 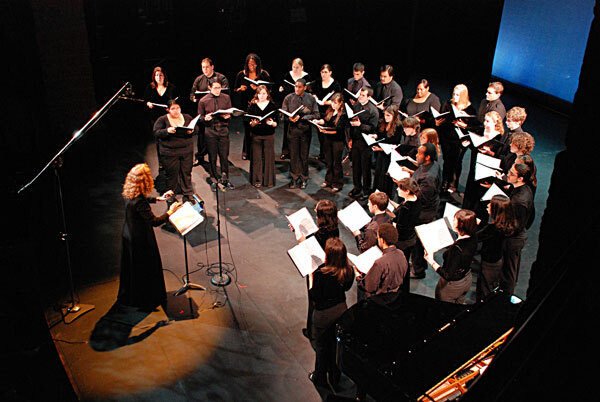 In case of rain, the concert will be held in the Bradley Arena. 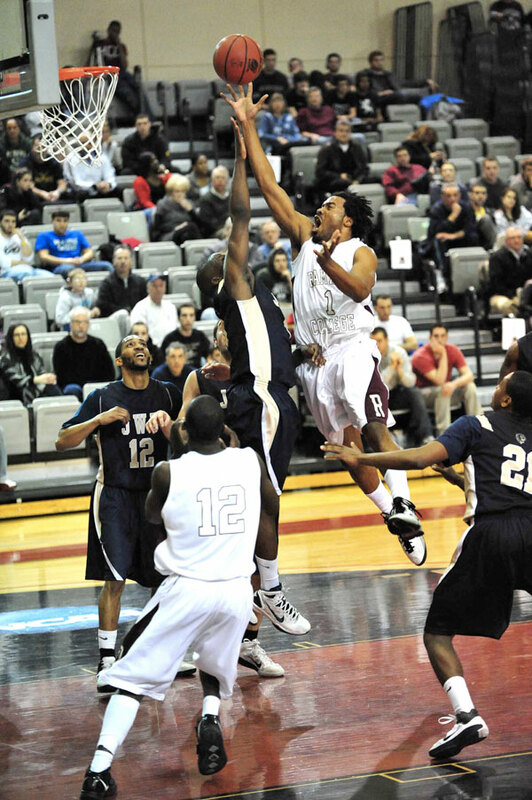 Admission is free; parking is $5 per car. 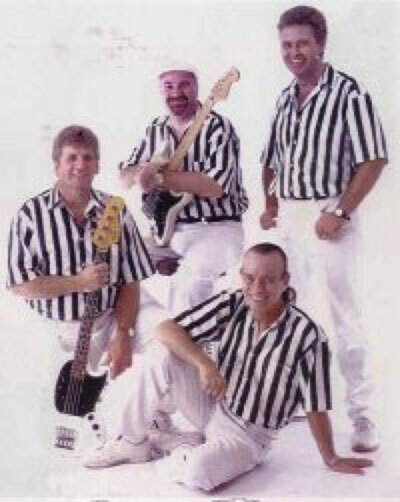 2011 TD Bank Summer Concert Series at the Ramapo College bandshell continues on July 21 at 8 p.m. with Little Deuce Coupe. 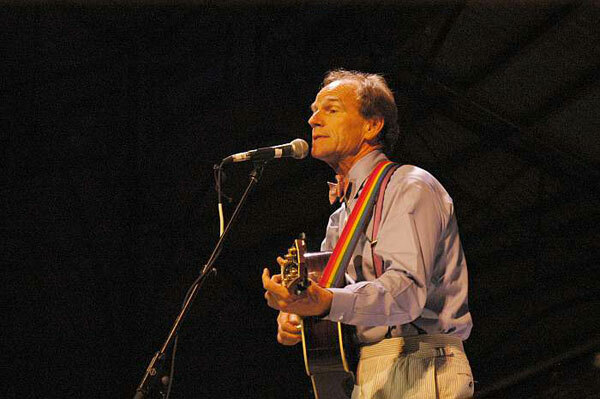 In case of rain, the concert will be held in the Bradley Arena. 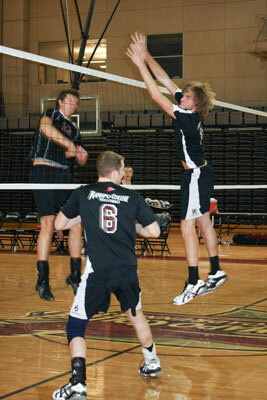 Admission is free; parking is $5 per car. 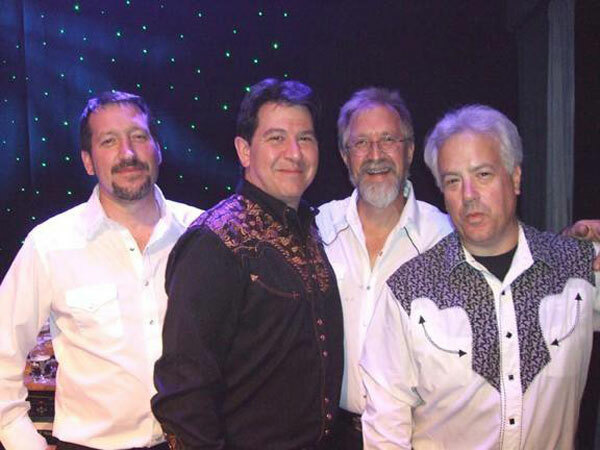 2011 TD Bank Summer Concert Series at the Ramapo College bandshell concludes on July 28 at 8 p.m. with the Johnny Cash tribute band, Ring of Fire. 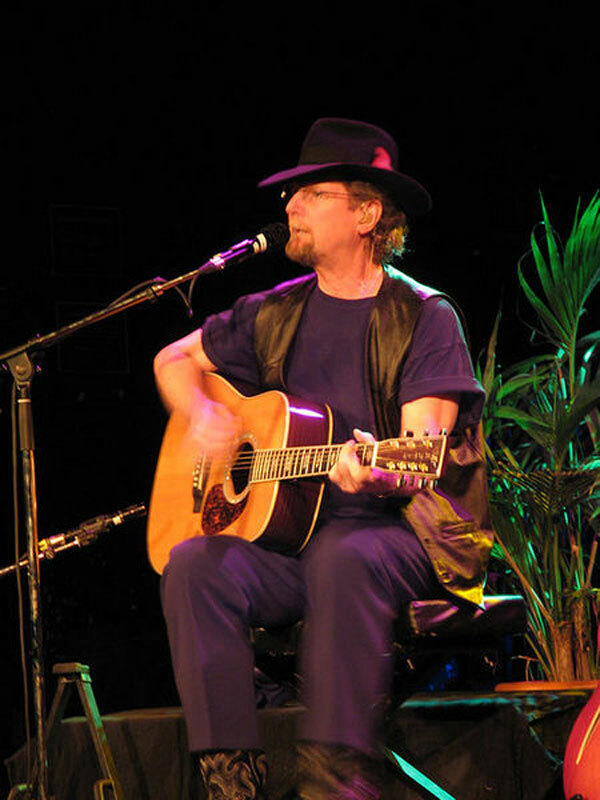 In case of rain, the concert will be held in the Berrie Center. 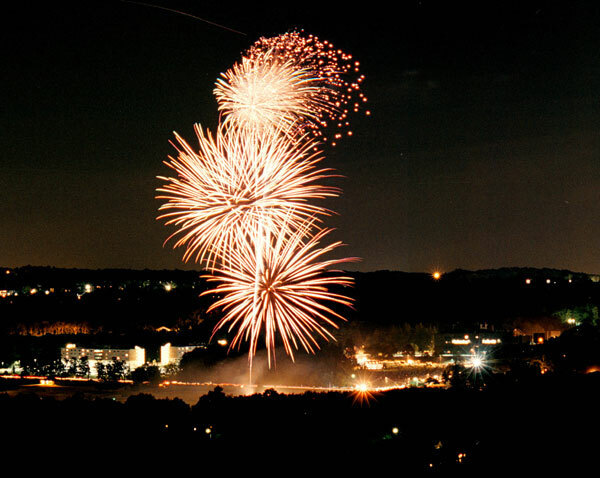 Admission is free; parking is $5 per car. 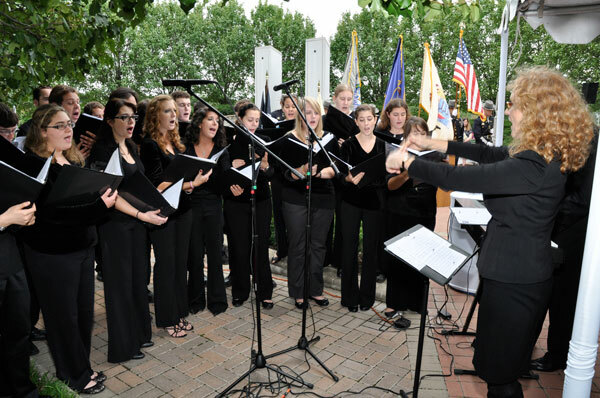 The Canta Nova group participated in the Ramapo College's 911 remembrance. 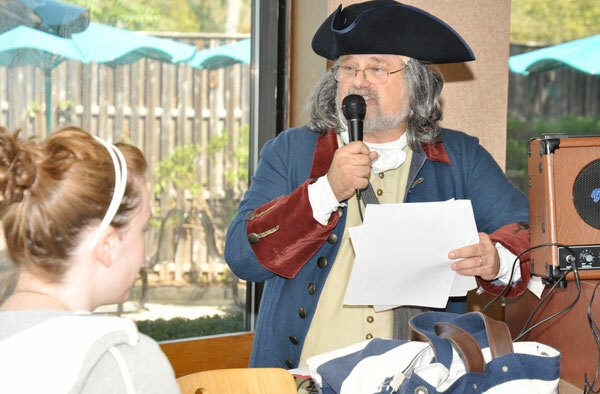 Professor Michael Edelstein, as Ben Franklin, participated in Ramapo College's Constitution Day activities. 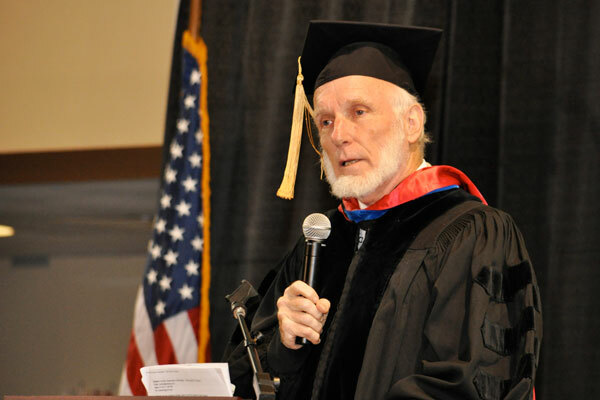 Author James Loewen during Ramapo College's Opening Convocation. 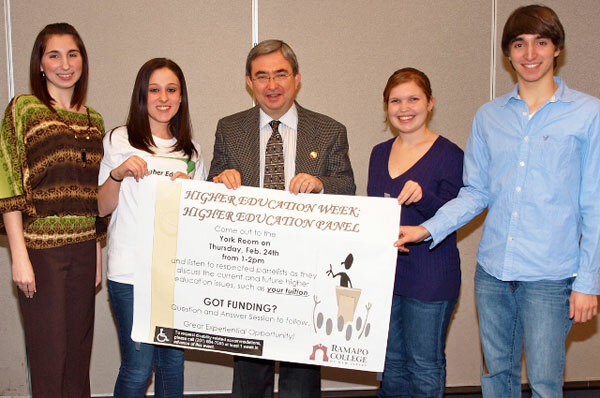 Ramapo students are participating in the fall phone-a-thon in support of the College's Annual Fund. 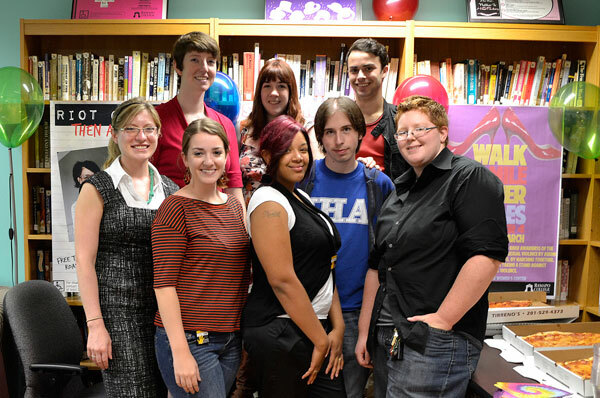 Students gathered for the Women's Center open house. 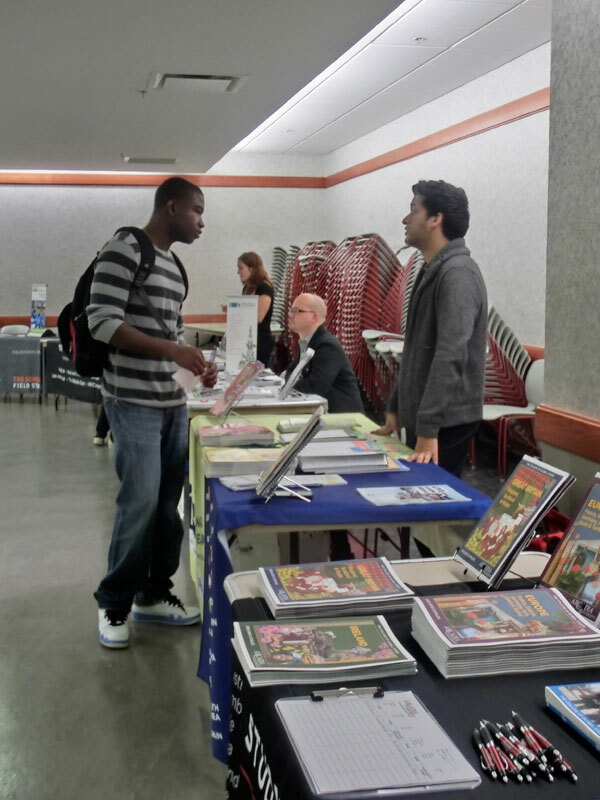 Ramapo College hosted a Study Abroad Fair to introduce students to study abroad opportunities. 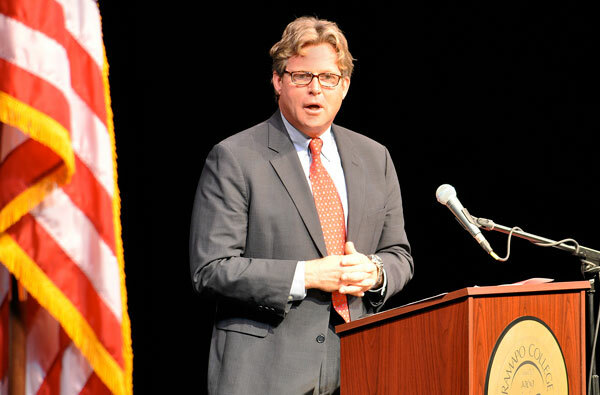 Ramapo College's Specialized Services presented Ted Kennedy Jr. speaking about "Facing the Challenge." 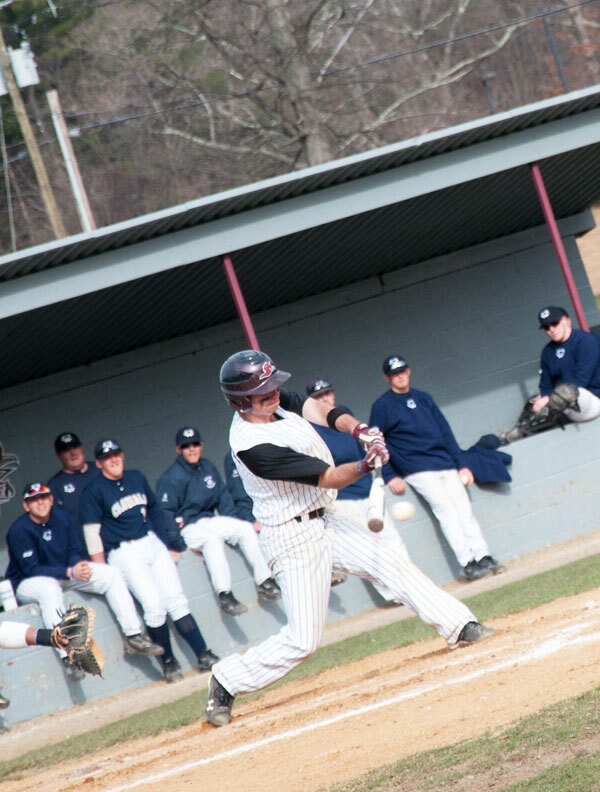 Ramapo College Women's Center presented Walk a Mile in Her Shoes, an annual event where men symbolically march around campus in high-heeled shoes to take a stand against relationship violence and sexual assault. 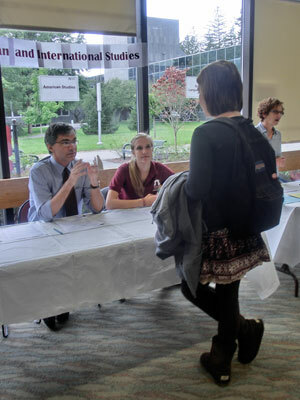 Ramapo College held a Majors Fair to help students determine what major best suited their goals. 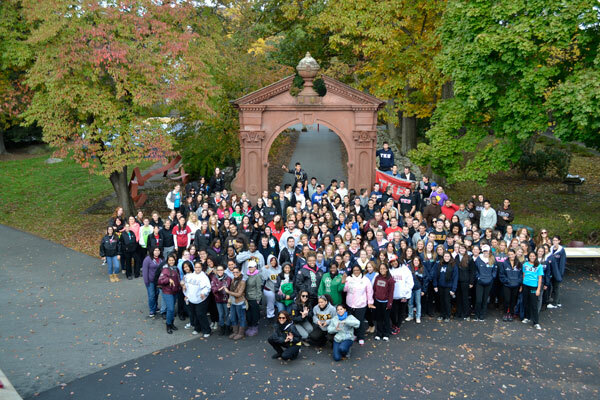 Students gathered for Ramapo College's Annual Octoberfest celebration. 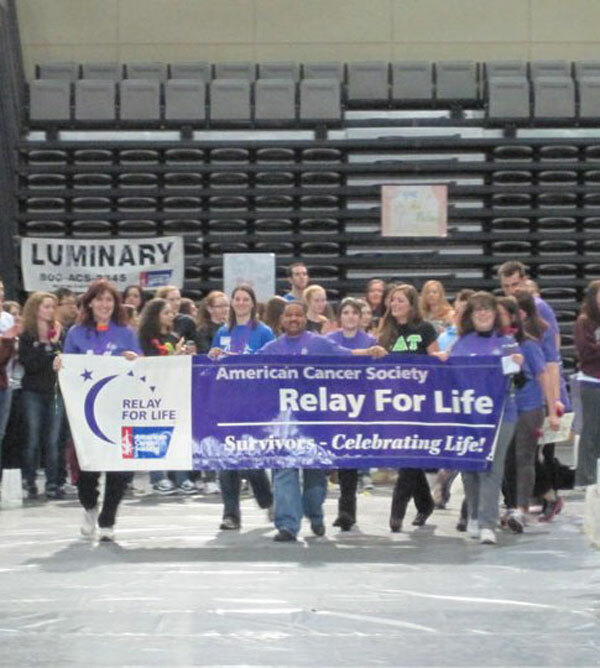 Faculty and Staff at Ramapo College participated in the 16th Annual Denim Day 2011, one of the largest single-day fundraisers nationwide for breast cancer. 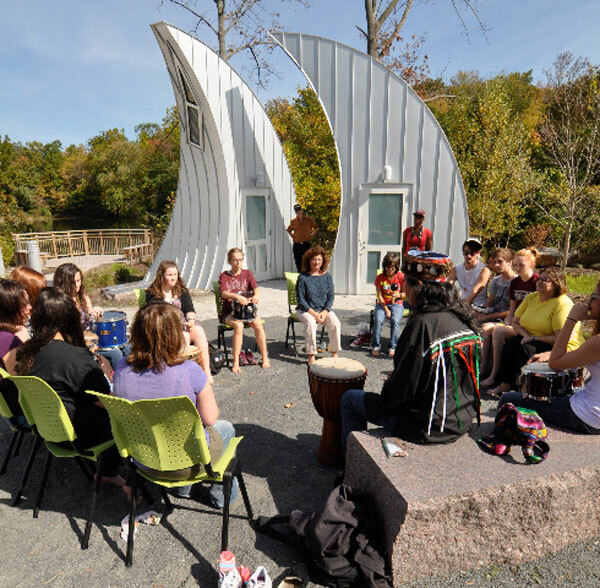 Ramapo College students participated in a Native American drum circle as part of the College's Native American Film Festival. 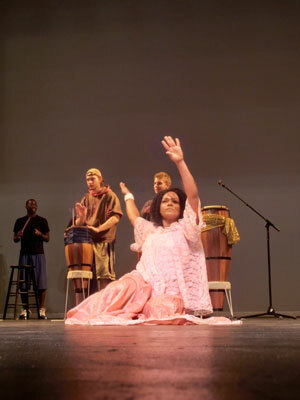 Ramapo College students participated in an Afro-Brazilian Drum and Music Workshop. Voter registration efforts at Ramapo College provide information about registering to vote. 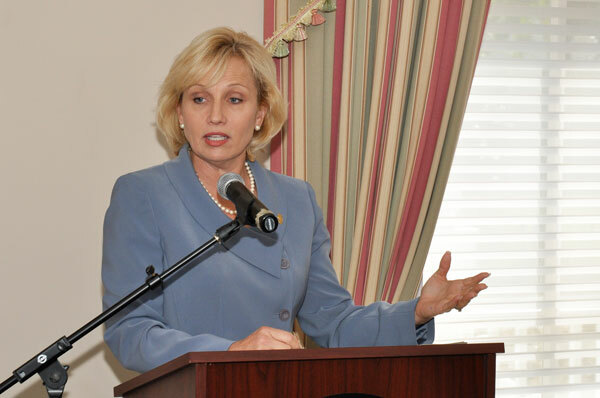 Kim Guadagno, New Jersey Lieutenant Governor, spoke at the Ramapo College Business Partners meeting. 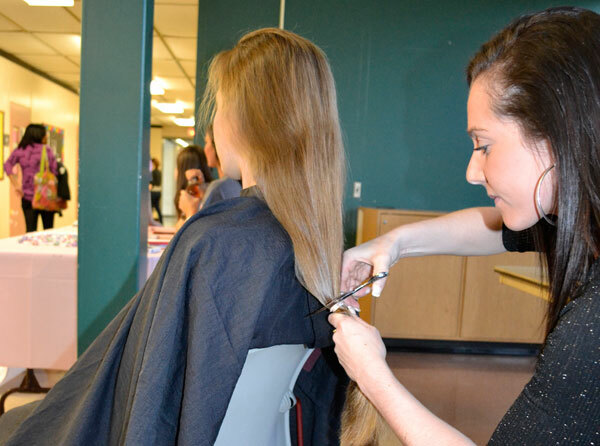 Ramapo College's Theta Phi Alpha held a cut-a-thon to collect hair to be used in wigs worn by women affected by hair loss from cancer. 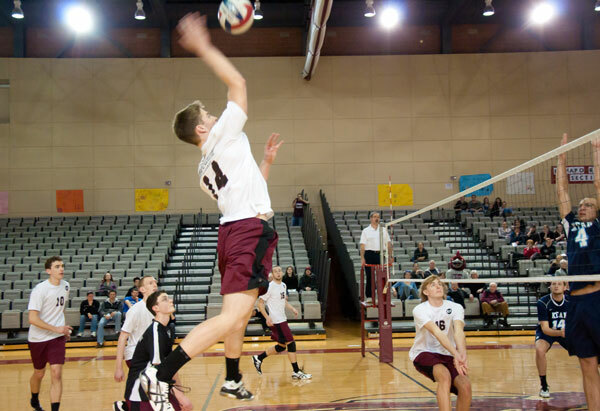 Ramapo College soccer alum played against the College's varsity team at the annual soccer reunion. 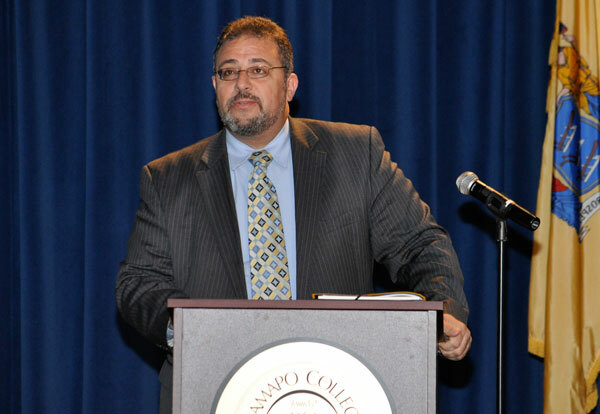 Imam Yahya Hendi, the Muslim chaplain at Georgetown University, spoke during the Anthony and Theresa Padovano Lecture Series. 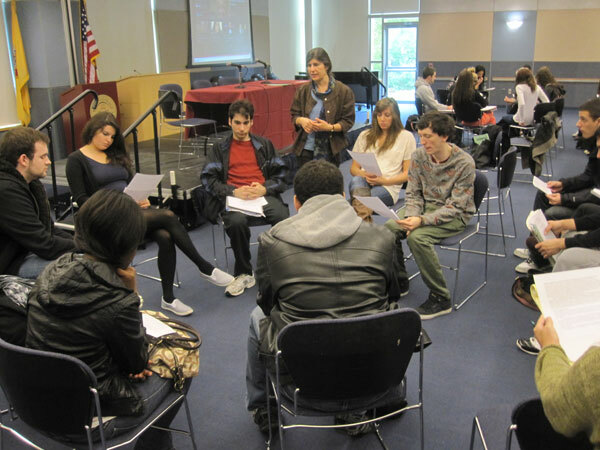 Ramapo College held a Graduate and Professional School Day event for students. 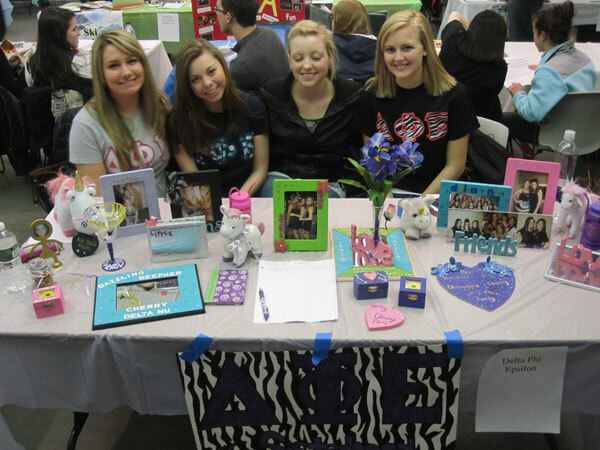 Ramapo College's Inter-Greek Senate (IGS) sponsored a 5K fund raising walk for St. Jude Children's Research Hospital. 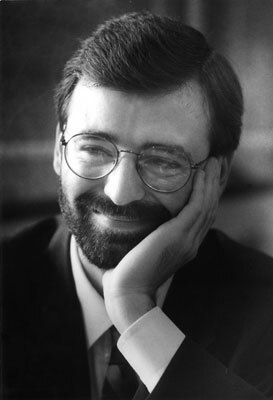 Peter Yeo, Exec. Dir. 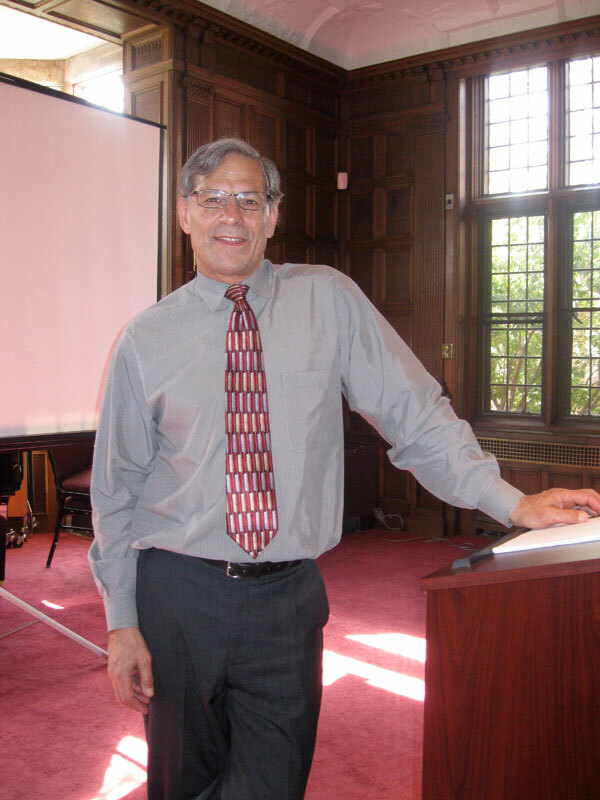 of the Better World Campaign, spoke at a meeting of the College's Model UN Club. 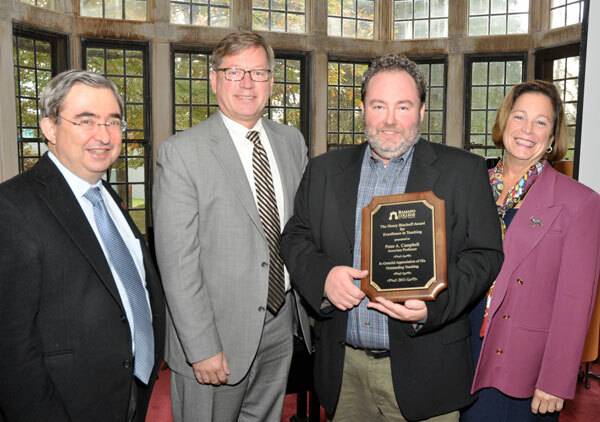 Peter Campbell is the recipient of 2011 Ramapo College Henry Bischoff Award for Excellence in Teaching. 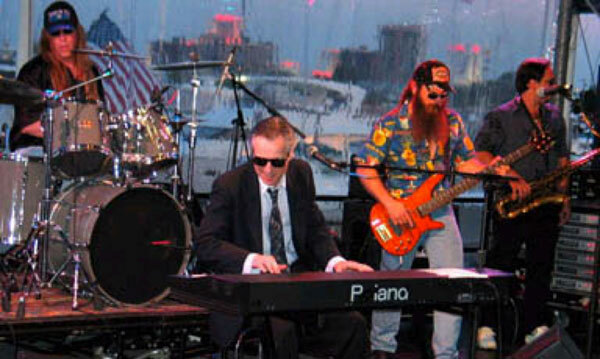 (l to r, President Peter P. Mercer, Dean Steven Perry and Professor Peter Campbell. 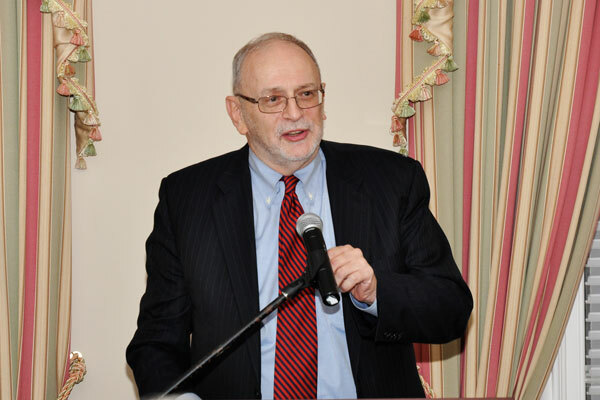 Kenneth Jacobson, deputy national director of the Anti-Defamation League, speaks at a dinner for the Gross Center for Holocaust and Genocide Studies Advisory Board. 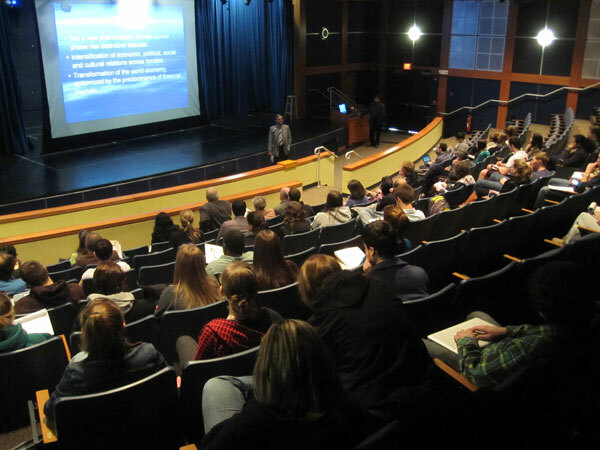 Sabrin Center, Eight Annual Raciti Memorial Lecture with Author, e-Business Leader, Cathleen Benko ’85. 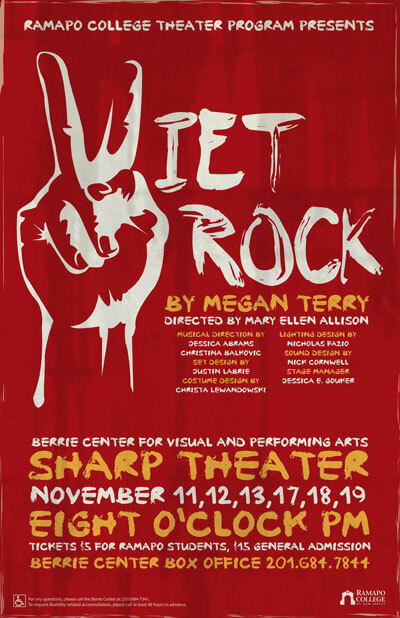 Nov. 21, Trustees Pavilion, 6:30 p.m.
Ramapo College Theater Program presents 'Viet Rock' by Megan Terry, Directed by Mary Ellen Allison, Nov. 11 - 13, 17- 19, 8 p.m.
Arthur Ganson: Kinetic Mandala exhibition continues through December 7 at the Kresge Gallery in the Berrie Center for Performing and Visual Arts. Jazz at the Berrie Center presents Live from Milan with Rossano Sportiello and Paolo Alderighi on December 10, 8 p.m., Sharp Theater. 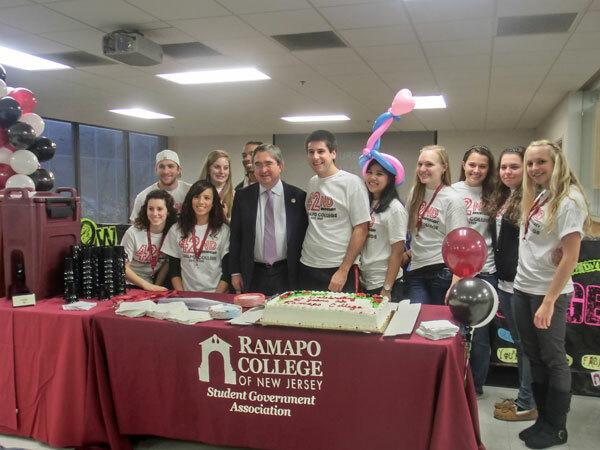 President Peter P. Mercer celebrated Ramapo College's Founders' Day with members of the College's Student Government Association. 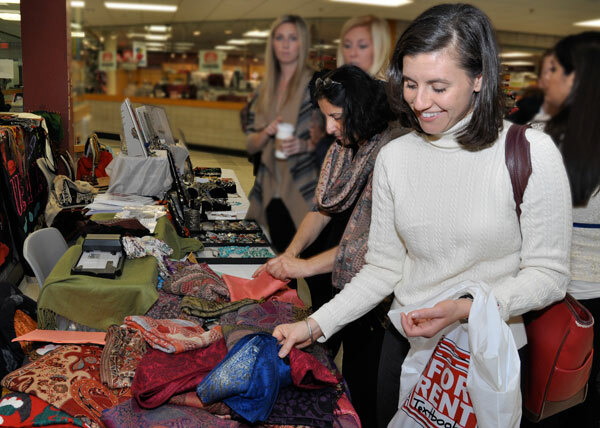 Ramapo College students participated in a fundraiser to help support The Afghan Women's Fund that provides assistance to families, women and girls. 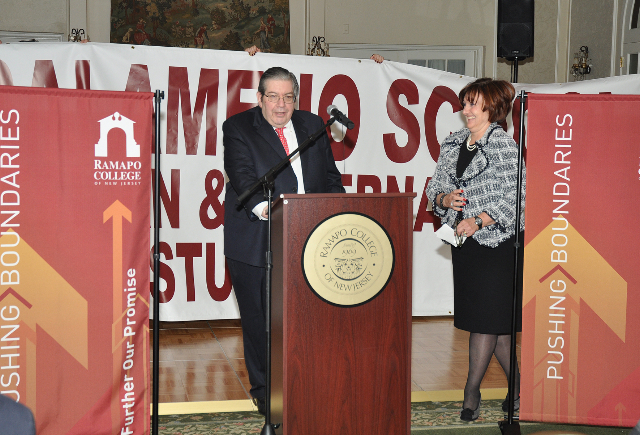 At a gathering to celebrate the College's $40 million capital campaign, Allendale residents Lawrence C. and Theresa Salameno made a surprise announcement of a $3 million gift to help the campaign reach its initial goal. 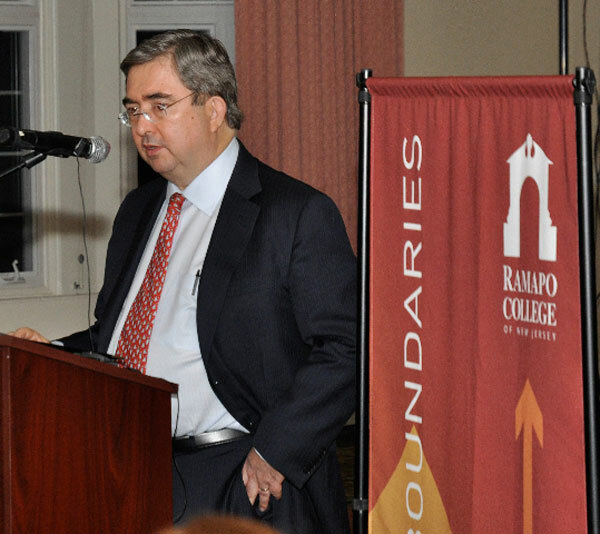 President Peter P. Mercer spoke during the Ramapo College $40 million capital campaign celebration. 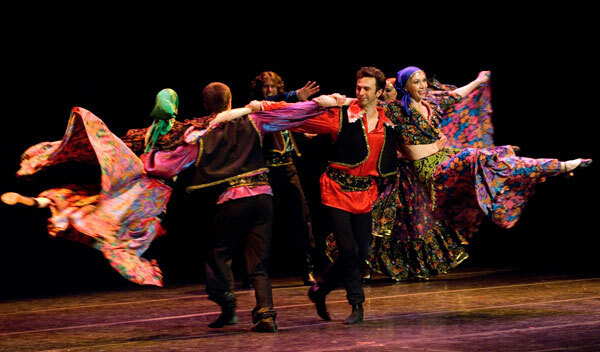 The Berrie Center presents, Russian Music and Dance Festival! 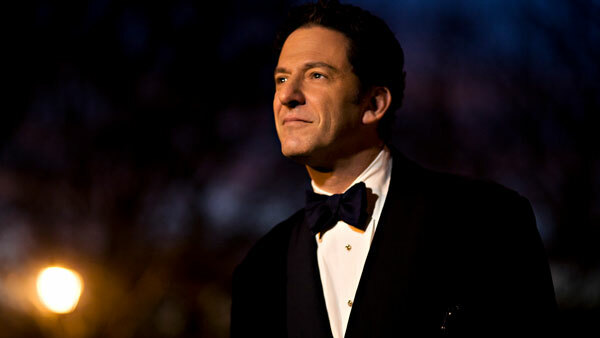 Featuring Barynya, Sunday, December 18, Sharp Theater, 3 p.m.
Jazz at the Berrie Center presents The John Pizzarelli Quartet, Saturday, January 21, Sharp Theater, 8 p.m. 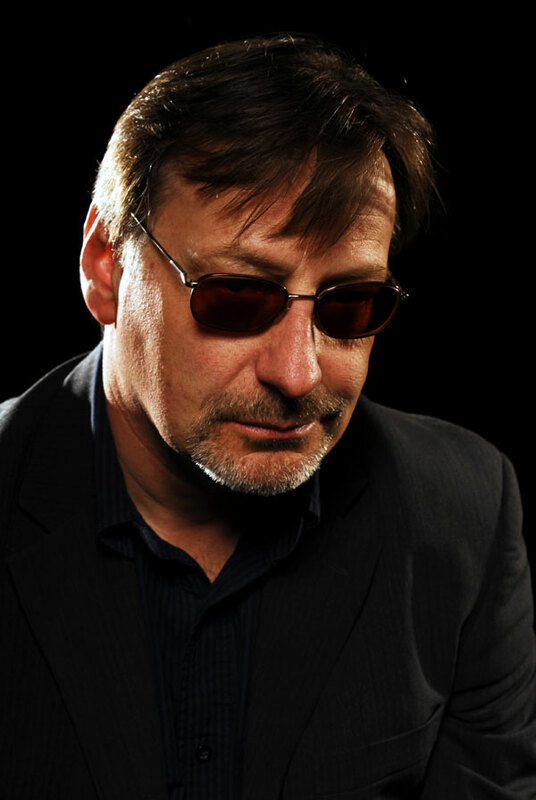 The Berrie Center presents, Southside Johnny Acoustic performance, Friday, January 27, Sharp Theater, 8 p.m.